You've got 99 problems, but your mud flaps ain't one! With the Gatorback mud flaps, you can represent your favorite brand logo everywhere you go! With tons of different logos available, let your vehicle show the world how stylish you are. Logos include Chevy bowtie, Ford oval, Dodge Ram, Hemi, GMC, Duramax, and more! There are people out there who either don't own mud flaps or buy ones that are less than cool. Don't be that person, be the one people look up to when it comes to your ride. 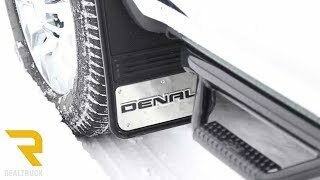 Made from premium rubber with a T-304 stainless steel plate, each Gatorback logo mud flap is a universal fit that can instantly customize your ride. Most styles available in a pre-cut or notched design to fit your fender wells. Sold in pairs, you better believe these bad boys will make your truck stand out. Installation is so easy, you can do it with your eyes closed. Okay, we don't suggest you do it that way, but you get the point! 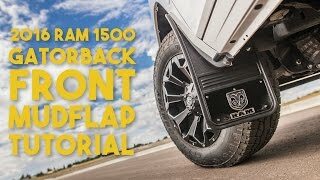 Once the Gatorback mud flaps are installed, you will be on your way to being the coolest person around! 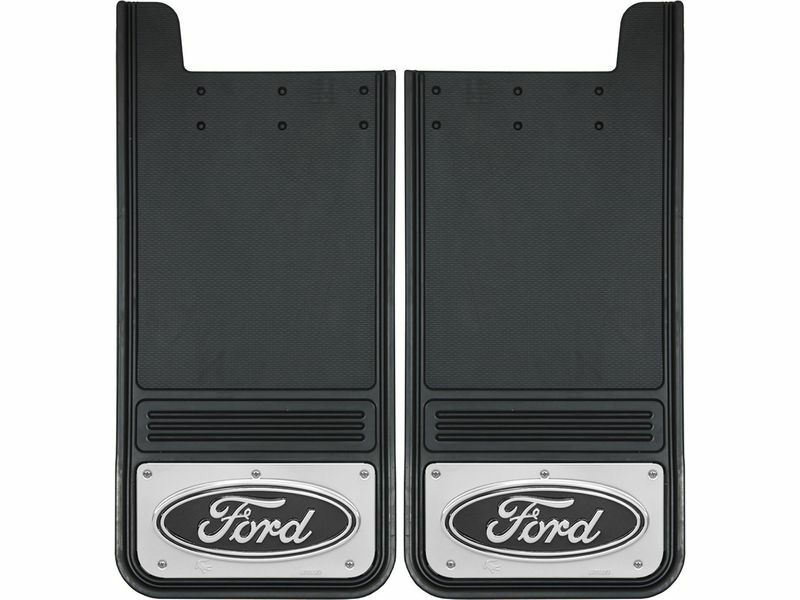 Your Truck Hardware logo mud flaps are backed by a limited lifetime warranty. 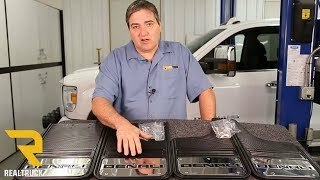 You want your vehicle to look good? 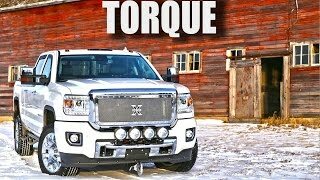 Easily install Truck Hardware logo mud flaps in the comfort of your own garage! Need help? Give us a call at 877-216-5446.